Women in ancient Egypt weren't that unlike women today. They wore makeup, had their hair done, and even enjoyed near equality with men. 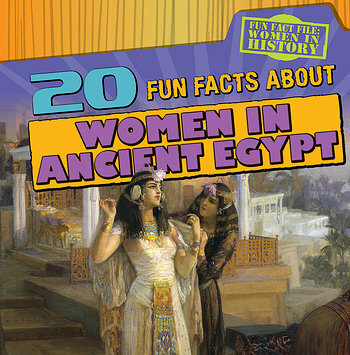 In this volume, surprising and amusing facts about the women of ancient Egypt give readers a new perspective on a noteworthy historical era. Full-color photographs include images of ancient Egyptian paintings and other primary sources showing how the Egyptians themselves portrayed women. The main content's format, along with detailed graphic organizers, engages readers with the social studies curriculum in a fun, high-interest way.